Reckless driving is always dangerous regardless of the size of the vehicle. 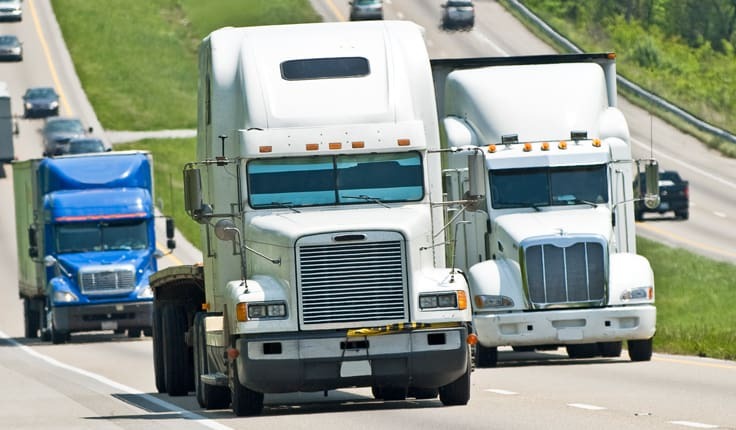 When you are talking about large, commercial trucks that must share the road with much smaller, passenger vehicles it can be frightening to see a massive vehicle barreling down the highway behind you changing lanes quickly and with disregard for the other vehicles on the roadway. At Yeboah Law Group, we take on the legal burden for you after you have been seriously injured in a truck accident so that you can focus on recovering your health and getting back to your life. Our experienced Fort Lauderdale truck accident attorneys know how to get results for you. How does Florida define reckless driving? Florida law defines a reckless driver as any person who drives any vehicle in willful or wanton disregard for the safety of persons or property. Additionally, simply fleeing law enforcement is considered reckless driving. Driver error is the most common cause of truck accidents, and reckless driving is one of those errors in judgement that truck drivers can make. Driving a truck is grueling work that can be frustrating when commercial truck drivers must contend with passenger vehicles that may get in their way, not move as quickly as they would like, or annoy them by cutting them off. Not that there is ever any excuse for reckless driving, but these might be some of the factors that provoke this kind of dangerous behavior. What is the penalty for reckless driving in Florida? Reckless driving is negligent behavior which can carry significant penalties depending on several factors such as whether the driver has previous reckless driving convictions, or if his or her actions caused a crash that resulted in property damage injury or death. A first offense for reckless driving is considered a misdemeanor punishable by up to 90 days in jail and up to a $500.00 fine. A second offense carries an increased penalty of six months jail time and up to $1,000 fine. When there is bodily injury and property damage, the penalties are increased. If the bodily injury is serious, the penalty can be enhanced to a third-degree felony with up to five years in prison and a $5,000 fine. What damages are available for injuries in a truck accident caused by reckless driving? Depending on the nature of the truck driver’s behavior in the reckless driving crash, the injured person may qualify to receive punitive damages from the defendant. This may occur in cases where the truck driver was drunk beyond the legal limit for CMV drivers, which is 0.045 BAC, or if his or her behavior was reckless and intentional, or if he or she were charged with manslaughter for causing a death in the crash, or knowingly failed to maintain a safe vehicle. Punitive damages do not apply in every reckless driving case. The intention is to punish the defendant’s behavior, and they are awarded in addition to the compensatory damages. The truck driver was driving that 20,000-lb. truck as if it were a race car on the freeway. You tried to steer clear of it knowing that if it caused a crash it would be devastating, but the crash was unavoidable and you woke up in the hospital wondering what happened. Now you want to pursue compensation for your injuries from the reckless truck driver who caused the accident that injured you. 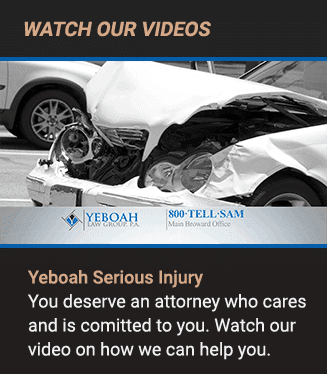 Please call the dependable Fort Lauderdale truck accidents attorneys at Yeboah Law Group at 1-800-TELL-SAM or complete our contact form to schedule a free consultation. We fight for you throughout South Florida.